They say water is the root of life. Yogi, they ain’t lying. Proper hydration is a key component for a rockstar-status healthy lifestyle. Do you experience any of the following symptoms on a regular basis? If so, your thirst struggle is real and you may have a drinking problem. Take heed of these fantastic personal irrigation tips and up your hydration game! 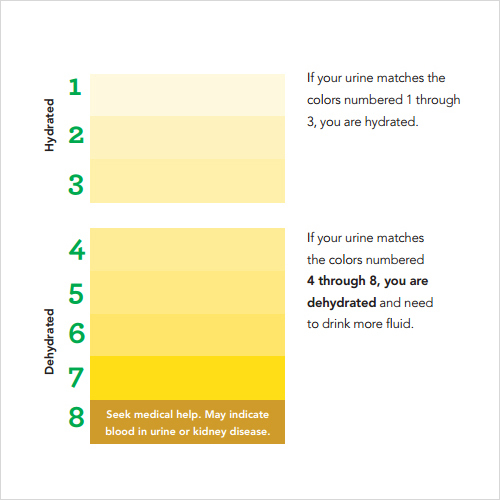 An obvious place to start, drinking water is the easiest way to improve your hydration score. Take it both as a gentle reminder to a) make an effort to drink more in general, and b) opt for water instead of any other beverage. Does consuming 8 glasses of anything in one day seem overwhelming? Try looking at it in different ways. One glass (8 oz) an hour = one decent gulp every 15 minutes = four pints by 8pm. Every body has different needs, so learn to listen to yours. Not sure if you’re drinking enough? Follow the yellow drip road. If it’s yellow, let it mellow. If it’s darker, drink… more… water. Keep forgetting to chug life? Set an alarm on your phone. Smart phones help forgetful people. Too lazy to get up all the time? Keep a bottle of water at hand at all times. Consider Electrolytes. Drastic times call for drastic measures. No matter whether you shine, glisten, or marinate, we all lose important minerals that maintain hydration when we sweat. A little powder (or tiny tablet or cracked coconut, depending on what you're into) goes a long way, and tends to make the act of drinking more interesting. Two birds, one stone right here. People quite often mistake dehydration for hunger, which send similar signals to our brains. Staying hydrated is not only good for you, but can even cut down on unnecessary snacking. Thirst is the dead canary in the coal mine of hydration. If your moist bits are drying out, take immediate action! Our muscles are predominately composed of water. Cramping is a early sign of dehydration, so satisfying thirst before it starts can help avoid your body from seizing up… ‘nuff said. Whether on tropical safari or in a heated office, bodies tend to sweat more in hot environments (both humid or dry) and at higher altitudes. Take proper measures to maintain hydration! How do you chug life? Leave your comments, suggestions, and fun stories in the comments below!